This WSI file will create a Wrapper and install Steam into that Wrapper. When Steam is installed you can add the Spintires Steam Key and download and play the game! Click “Install” to download and create the Wrapper. For questions and help check the help/faq tab in the Portingkit. - Nvidia/AMD Radeon/Intel Iris GFX card. Spintires is an Intel® award winning off-road driving experience designed to challenge the player's driving skill and endurance. Take responsibility of operating large all-terrain Soviet vehicles and venture across the rugged landscapes with only a map and compass to guide you. Explore the levels and unlock portions of the map whilst discovering new trucks, fuelling stations, garages and lumber mills. Collect lumber with the crane attachments and try to deliver them to the objectives. 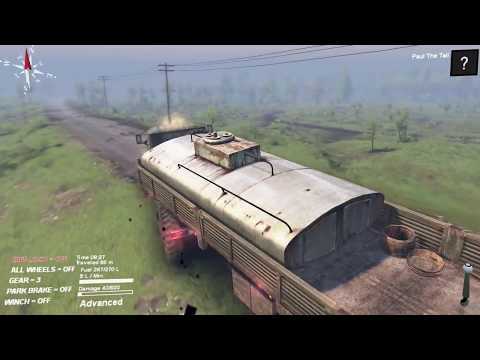 Try not to damage your vehicle or consume all of the fuel, prior to completing the objectives. Use the surroundings to your advantage, you may need to winch yourself free! The real-time deformable terrain will challenge even the most seasoned offroader. Do you accept the challenge? 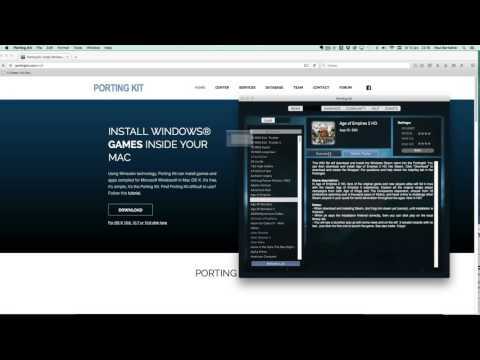 - Porting Kit will install the Windows Steam so you can add the Windows serial of the game. - Game needs medium to High end Macs. Not Recommended for Intel HD GFX cards. Intel Iris and Nvidia and AMD Radeon are recommended. - Some videocard may give some small glitches, in that case, play around with the gfx settings for the best results in your case.